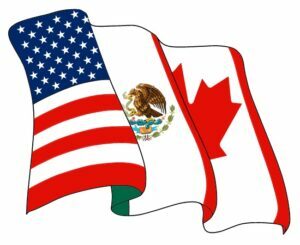 TN visa status allows Canadian or Mexican professionals within a certain set of occupations to work in the United States. It’s a nonimmigrant status that can be continually renewed. Because many TN professionals live and work in the United States for many years, they often end up meeting a future spouse in the United States. Once married to a U.S. citizen or permanent resident spouse, TN professionals may generally apply for permanent residence (green card). Although TN visa holders may adjust status to permanent resident, there are some special considerations that should be reviewed before applying. Like any other nonimmigrant visa, there are certain restrictions with TN status. During the application process for a green card (which may take a year), these rules may create complications. With knowledge of these special considerations and some planning, most TN visa holders can continue to maintain their employment and travel as necessary. This article addresses the special considerations for TN professionals who adjust status through a family-based immigrant petition (Form I-130). Additional complications may apply for employment-based petitions (Form I-140) that are not discussed here. When entering the United States with a TN visa, the visa holder must have “nonimmigrant intent.” This means that the TN visa holder must not intend to immigrate permanently. Rather, he or she must intend to depart the U.S. at the conclusion of TN-related employment. Entering the U.S. with the “preconceived intent” of applying for permanent residence through adjustment of status would be a clear violation of the visa. If immigration officials conclude that an applicant had a preconceived intent to adjust status, they may deny Form I-485, Application to Adjust Status. In fact, immigration officials may presume that an adjustment of status applicant had a preconceived intent if he or she files the I-485 application within 90 days of entry. 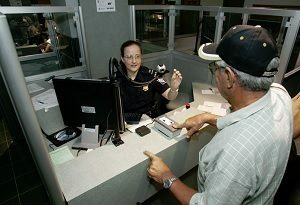 If the individual applies more than 90 days after entry, immigration officials may not presume fraud unless there is other evidence to suggest misrepresentation. It is possible for nonimmigrant visa holders to enter the United States without preconceived intent and adjust status. If the individual’s plans changed during the course of the trip, he or she may adjust status. However, when these plans change within the first 90 days, it automatically generates suspicion from immigration officials. Thus, most attorneys recommend that their clients wait until after 90 days of entry to adjust status. After filing the Form I-485 to adjust status, an individual may continue to work under the TN status (8 CFR 274a.12I(9)). However, the I-485 application is a strong signal of an intent to immigrate permanently. Therefore, the TN professional will not be able to renew TN status or apply for a new TN visa under a different employer. This can be resolved by requesting employment authorization at the same time as filing the adjustment of status application. By including Form I-765, Application for Employment Authorization, concurrently with Form I-485, the applicant can obtain separate employment authorization based on the “adjustment of status applicant” eligibility category. U.S. Citizenship and Immigration Services (USCIS) generally issues the Employment Authorization Card (EAD) within 90-120 days of filing the application. What’s more, an EAD will enable the applicant to work for other employers. It is not tied to a single sponsor employer or occupation. TN professions may be accustomed to traveling back to their home country often. Before filing an adjustment of status application, TN visa holders should carefully consider their travel needs. In fact, any departure from the United States without the proper authorization can introduce complications. TN professionals who file an adjustment status must obtain an advance parole document before departing. Without acquiring the advance parole travel document first, the adjustment of status applicant will abandon the pending I-485 when leaving the U.S. The individuals will likely be unable to reenter the U.S. under TN status. Adjustment of status applicants can file Form I-131, Application for Travel Document, as a part of an adjustment of status package. Again, there is no additional USCIS fee to file Form I-131 concurrently with Form I-485. Generally, USCIS will issue advance parole within 120 days of filing the application package. Advance parole must be received before departing the United States. 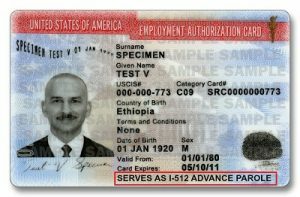 The advance parole document is generally issued on the applicant’s employment authorization card (as pictured below). Certain individuals may be better suited by applying for permanent residence through the consular process. Adjustment of status allows an applicant to stay in the United States while the green card application is being processed. Consular processing refers to an application submitted through a U.S. embassy or consulate. 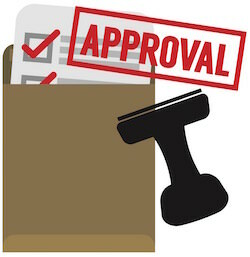 Using consular processing, the applicant can avoid potential issues with preconceived intent. It also keeps the TN visa in tact until the foreign national becomes a permanent resident. Thus, the TN worker may re-enter the United States as needed for employment and depart when it is time to complete the consular process. Upon approval of the I-485 application, the TN professional becomes a permanent resident, as known as a green card holder. As a permanent resident, the individual may work for most employers and generally make temporary trips outside the United States as needed. CitizenPath provides simple, affordable, step-by-step guidance through USCIS immigration applications. Individuals, attorneys and non-profits use the service on desktop or mobile device to prepare immigration forms accurately, avoiding costly delays. CitizenPath allows users to try the service for free and provides a 100% money-back guarantee that USCIS will approve the application or petition. We provide support for the Petition for Alien Relative (Form I-130), Adjustment of Status Application (Form I-485), and several other immigration services.